Smart Melody has maintained her unbeaten record with victory in the Thousand Guineas Prelude. 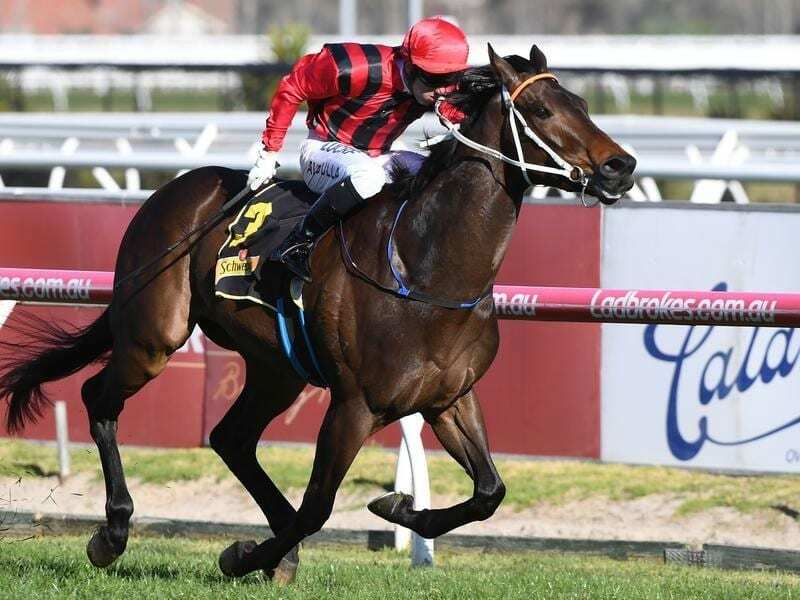 Smart Melody has maintained her unbeaten record with a strong on-pace victory in the Thousand Guineas Prelude at Caulfield. Jumping from 1100m to 1400m on Sunday, Smart Melody was sent off the $2.10 favourite and scoring a length victory over Thrillster ($15) in the Group Three-race. Smart Melody’s stablemate, El Dorado Dreaming ($8) was a further length further back at her first outing for Newcastle trainer Kris Lees. The three-year-old fillies carved out the 1400 metres in 1.22.73, 0.63 secs quicker than the colts and geldings in the Caulfield Guineas Prelude. Lees said while the logical choice was to step the filly up to 1600m of the Thousand Guineas on October 13, he would assess the filly’s condition before committing to a start. “I’ll watch the videos a few times and see how she pulls up but we’ve still got a lot of positives there,” Lees said. “She’s got a real natural turn of foot and she’s a big imposing filly taking on these three-year-olds. “Going from 1100 metres straight to 1400 metres she raced without cover but she had a good run for Brenton (Avdulla) and when he let her go at the top of the straight she put a nice gap on them. Smart Melody firmed from $4 to $3 for the Thousand Guineas with El Dorado Dreaming shortening from $9 to $5.50. Lees was delighted with the performance of El Dorado Dreaming. “She was back in the ruck and when she got clear she finished off strongly late,” he said.